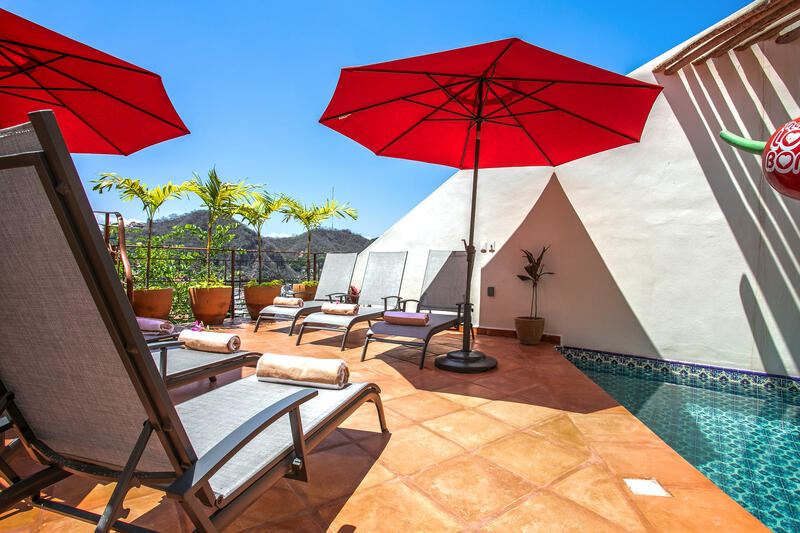 This Sophisticated 6 Bedroom Private Retreat Is A Getaway Within a Getaway. 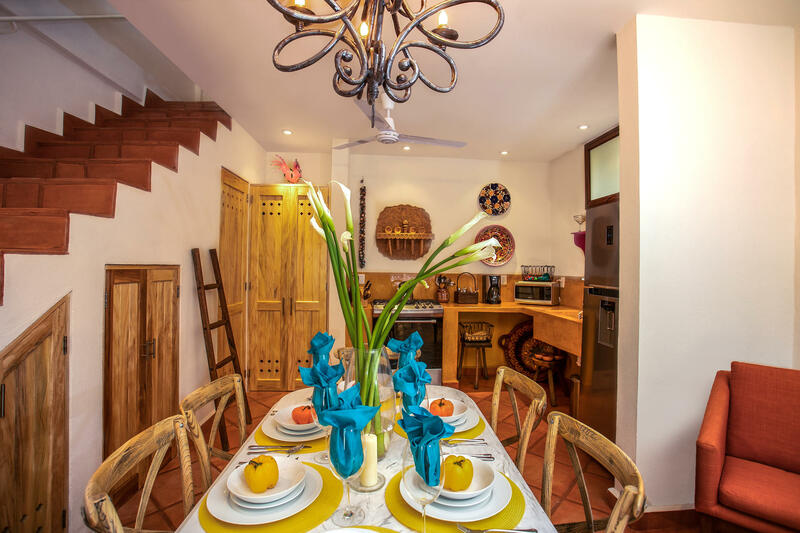 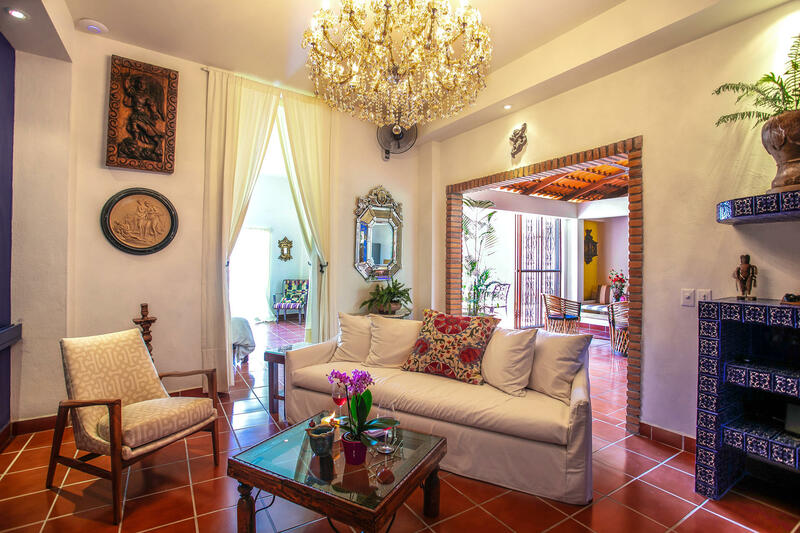 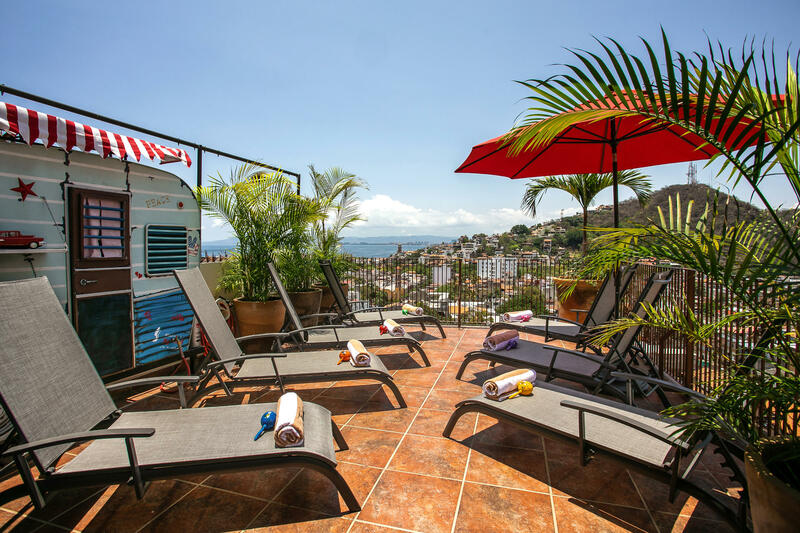 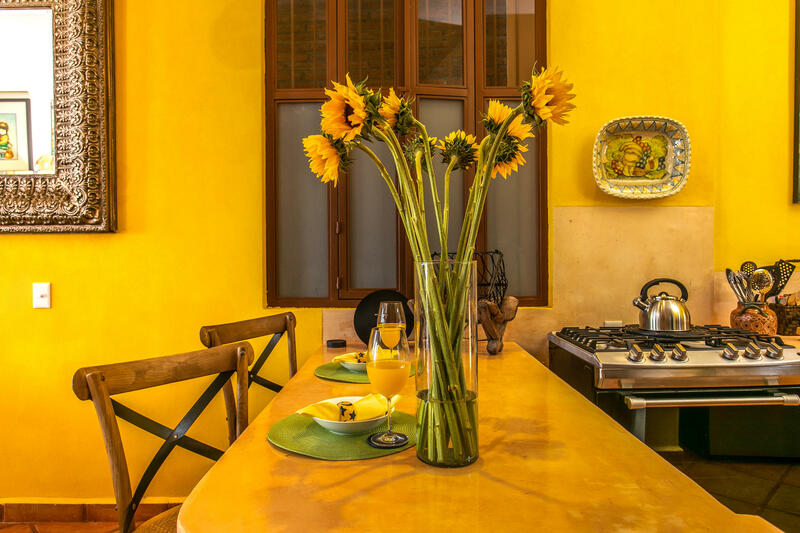 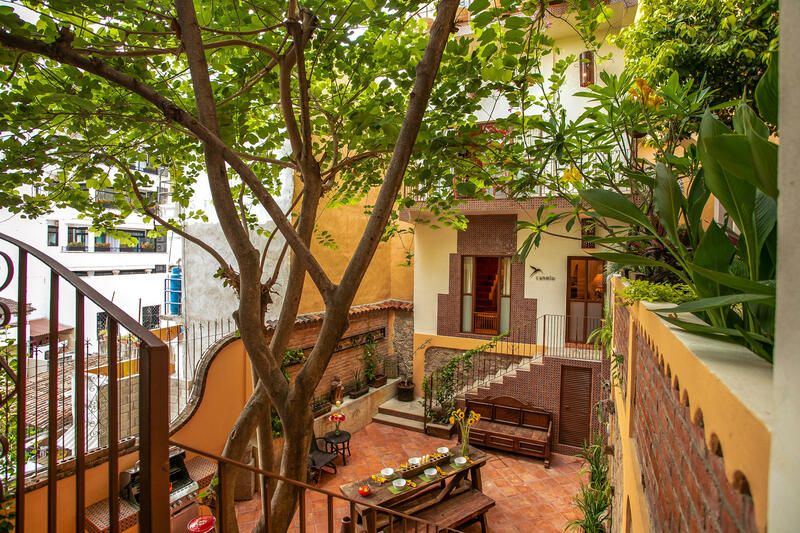 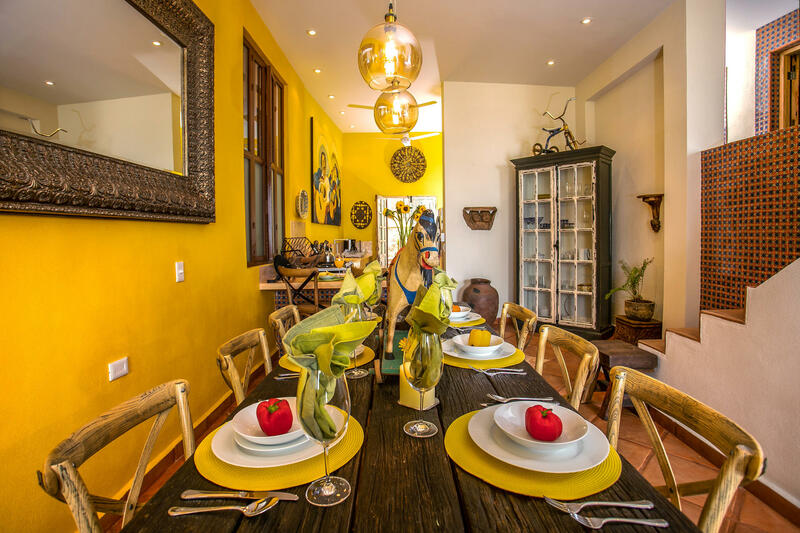 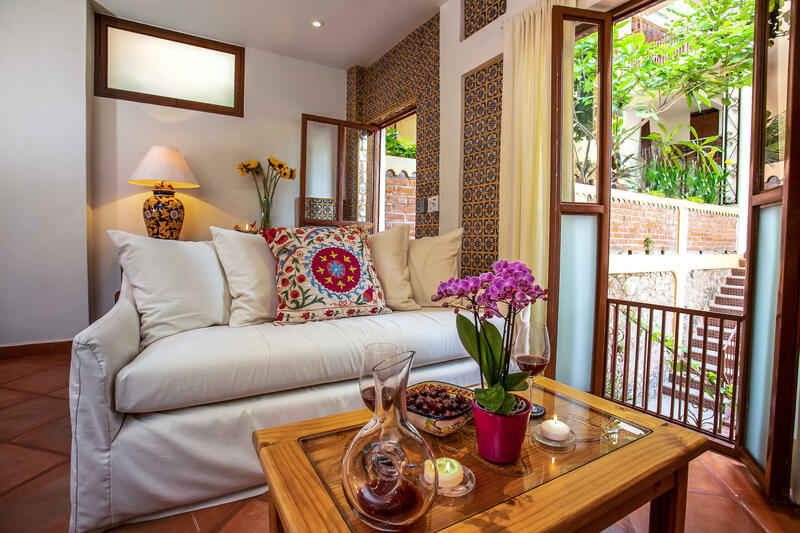 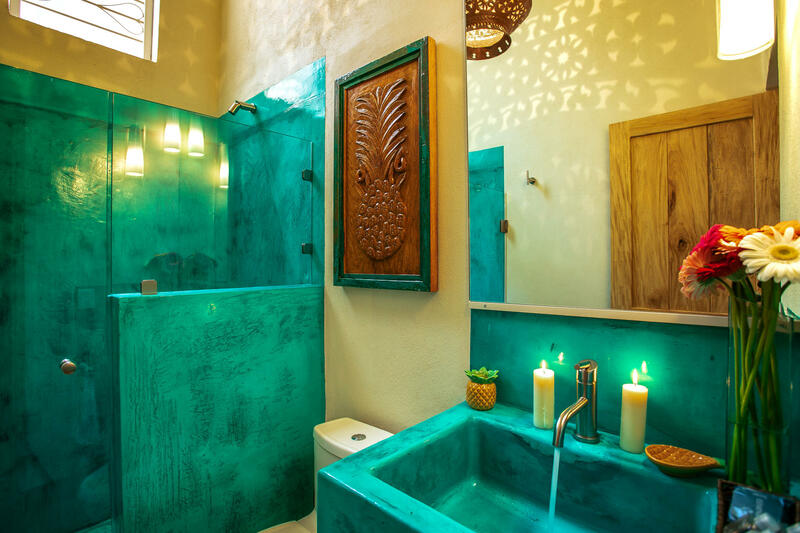 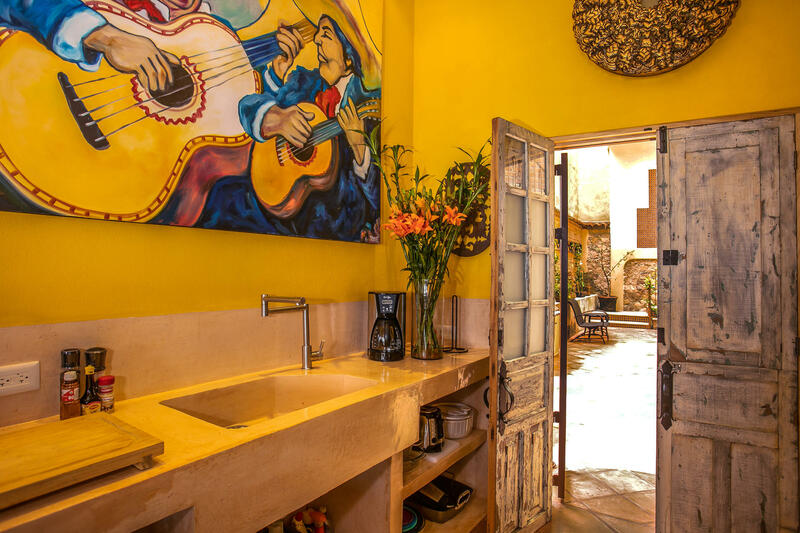 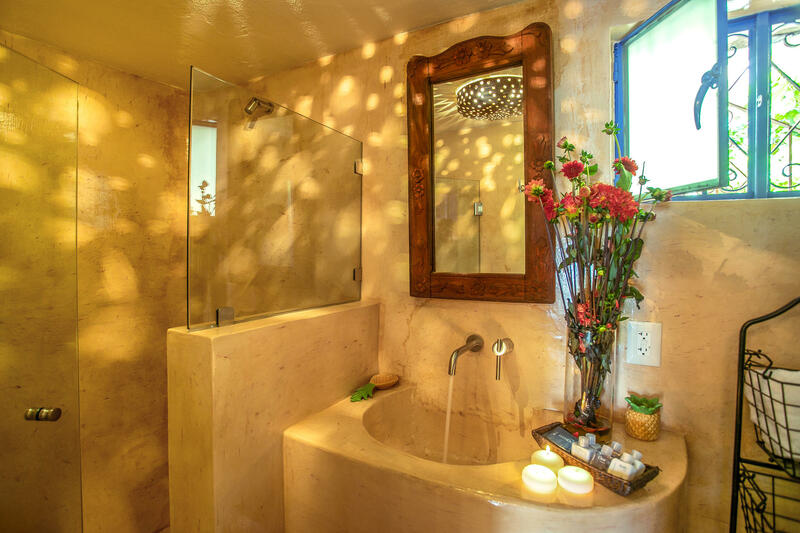 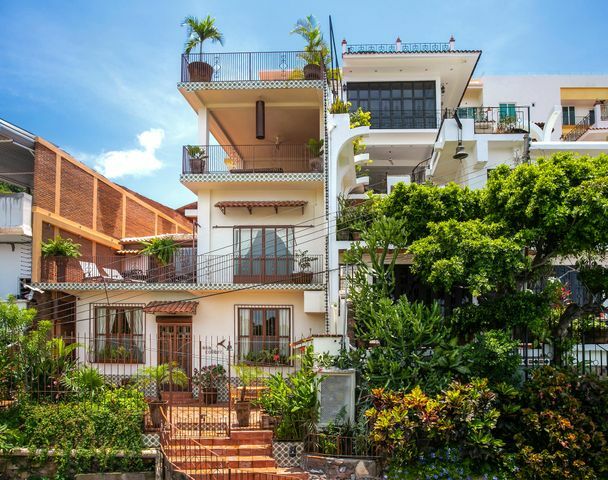 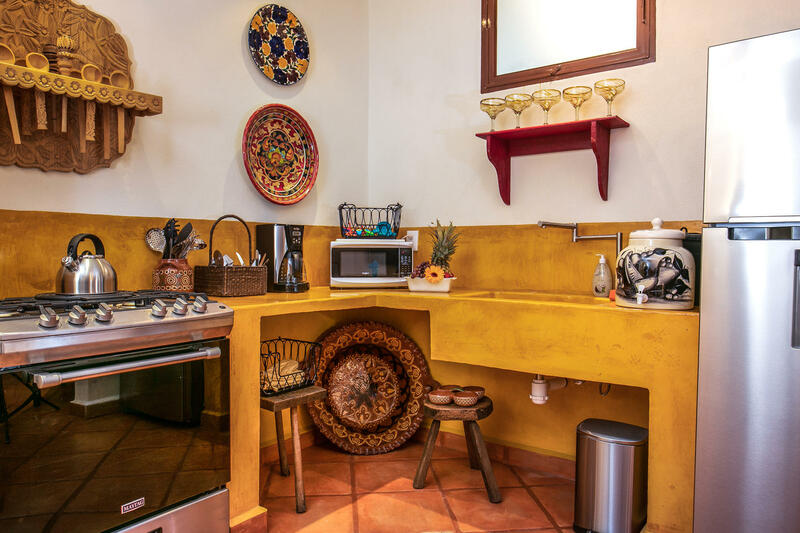 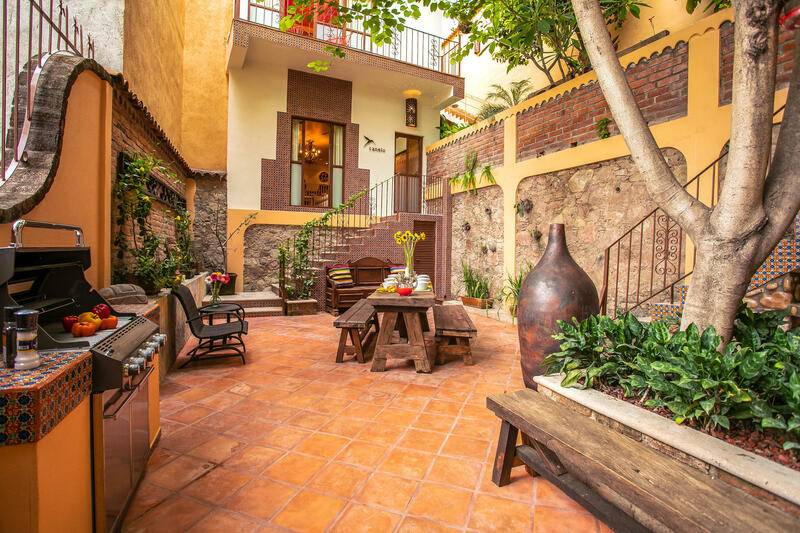 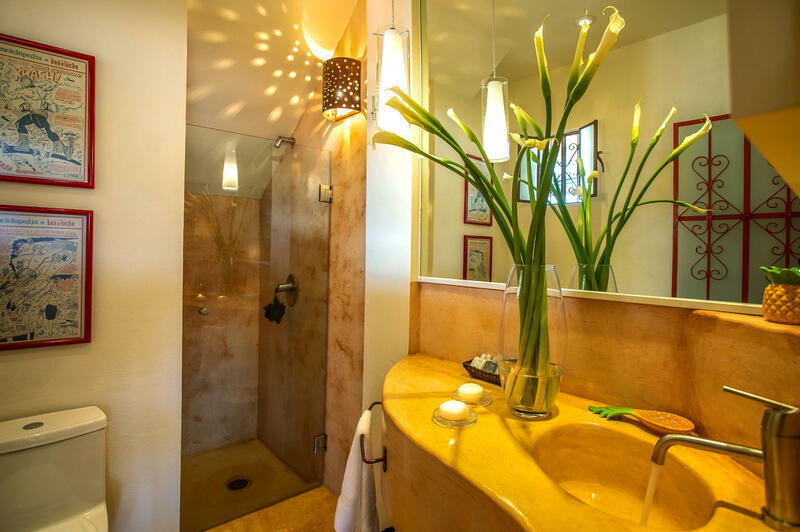 Villa ColibrÍ (Spanish for House of the Hummingbird) is a luxurious six bedroom retreat located in Emiliano Zapata, one block south of the Romantic Zone, only a few blocks from restaurants, shopping, nightlife and Los Muertos Beach. 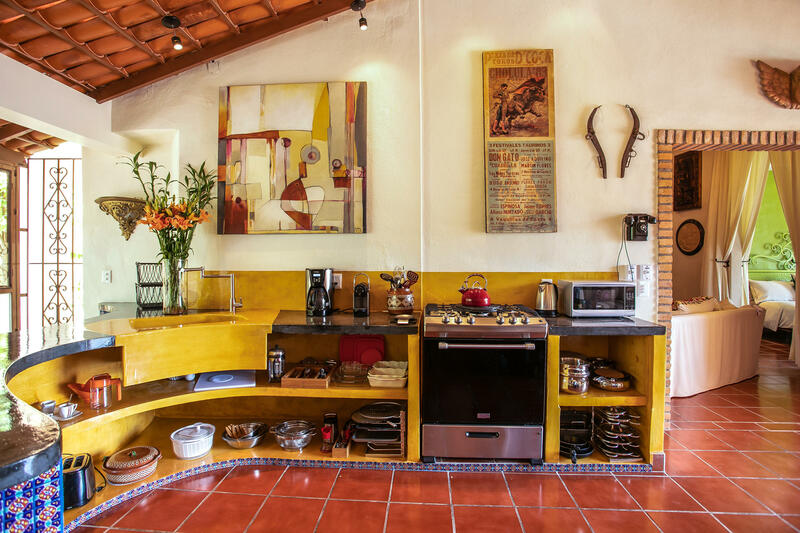 This 7,500 square foot Villa is divided into four sophisticated private residences each with their own kitchen, living and dining areas. 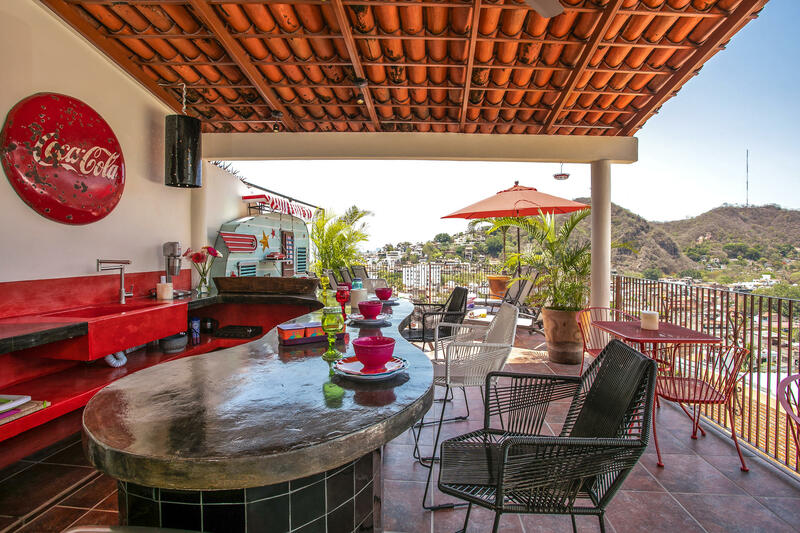 As a member of the invite-only Airbnb plus network of exclusive listings this property is sure to produce continued financial success. 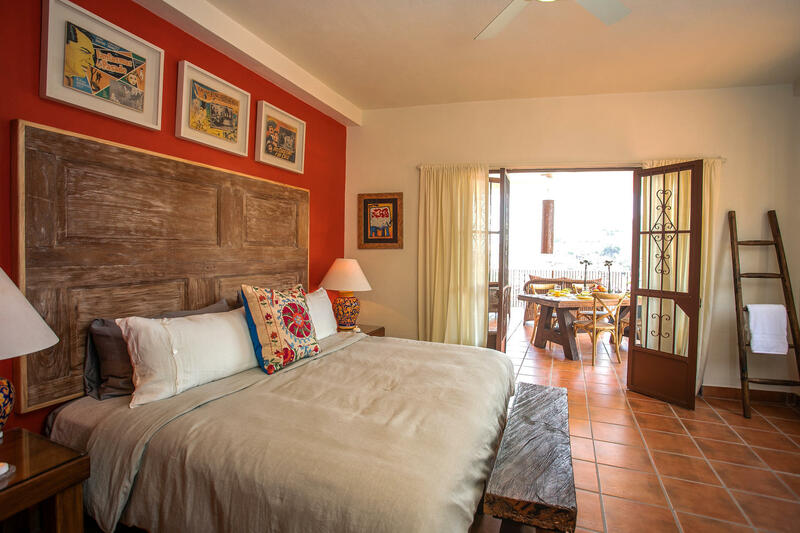 Villa Colibri underwent a complete renovation in 2017/18 which included the construction of a two-storey casita with heated rooftop saltwater pool, a bridge, new plumbing, a water pressure maintenance system, new electrical wiring throughout, new lighting with dimmer switches and programmable outdoor timers, new temperature control including 6 AC units and 18 overhead fans, new stainless steel appliances and barbecues, new 55" flat screen TVs hardwired to the Internet, a commercial grade internet installation that provides WIFI everywhere inside and outside of the villa, new gardens complete with automatic irrigation, bricked security walls, security cameras, custom made furniture, new outdoor furniture, new windows and doors, 420 square metres of Mexican tile and much more. 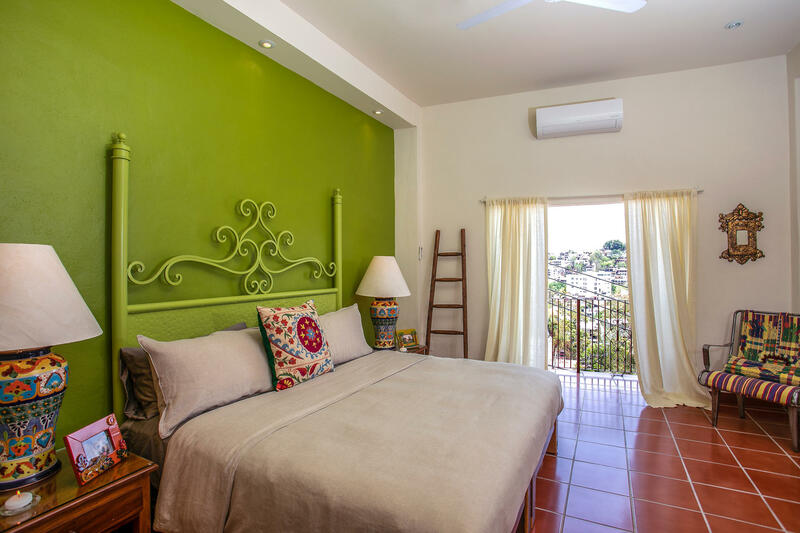 As a bonus, the villa is perfectly positioned for an inexpensive solar power install eliminating most, if not all, electricity costs. 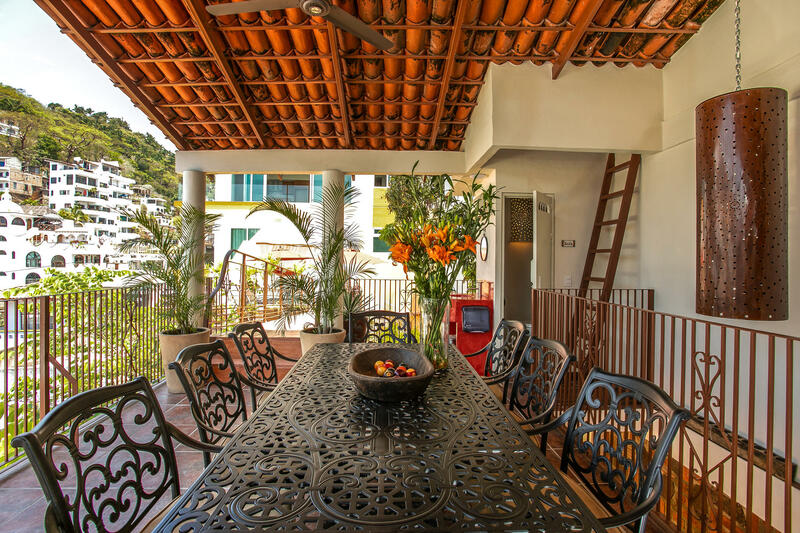 This Villa's unique design offers a whole range of possibilities and flexibility for its owner, creating a perfect getaway within a getaway for up 12 to 18 guests. 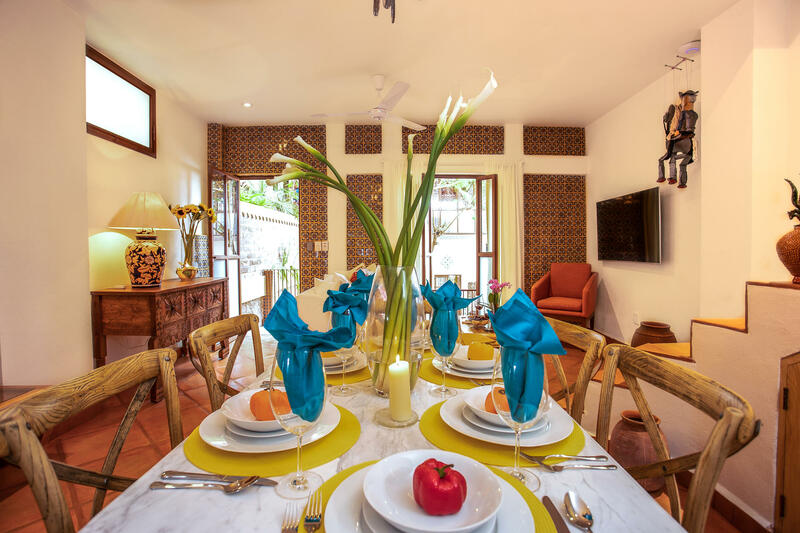 Rent out the entire property to large groups or for events, live in one unit operating the other three as a five bedroom B&B, or rent one or all the units individually or in any combination; you decide. 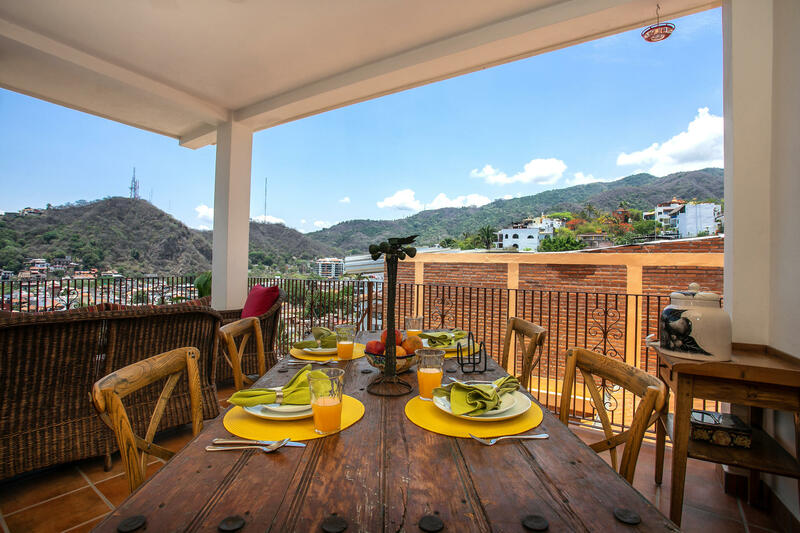 It is the perfect solution to people who want to spend time in their own property, have privacy and also have an income. Or don't like the rental market, the property is able to be registered as a condominium allowing the units to be sold individually. 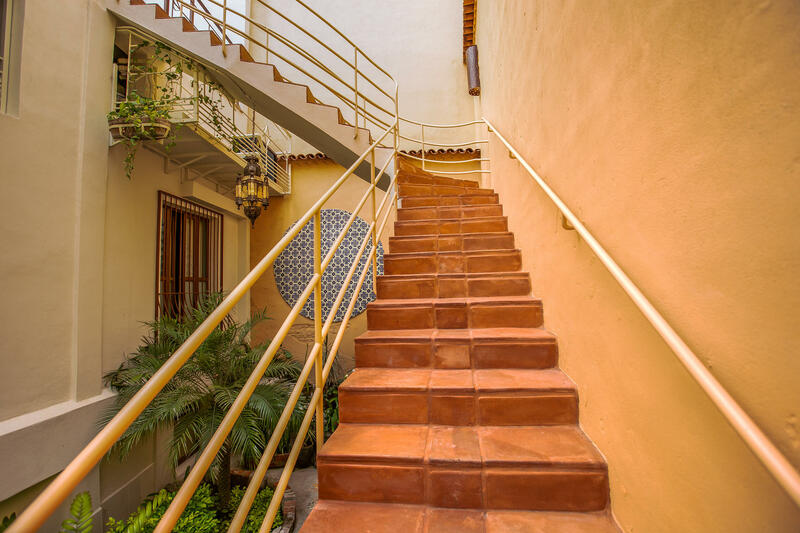 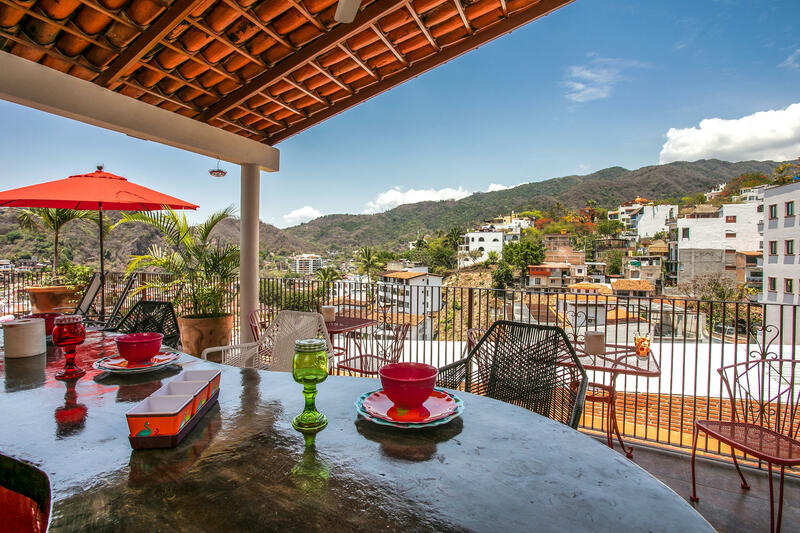 Decorated with the discerning buyer in mind each residence reflects the character and charm of old style Vallarta, while still providing the modern conveniences of home. 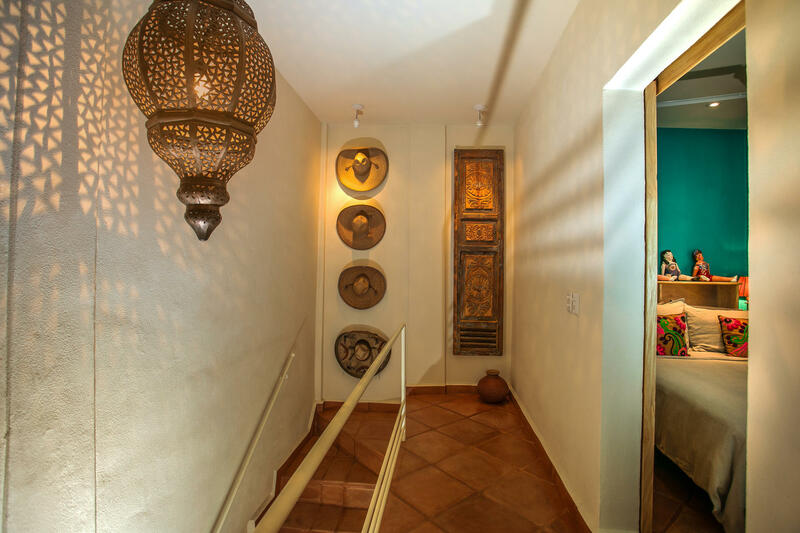 Local art, Mexican antiquities, vintage collectables and handcrafted textiles adorn the interior and exterior spaces. 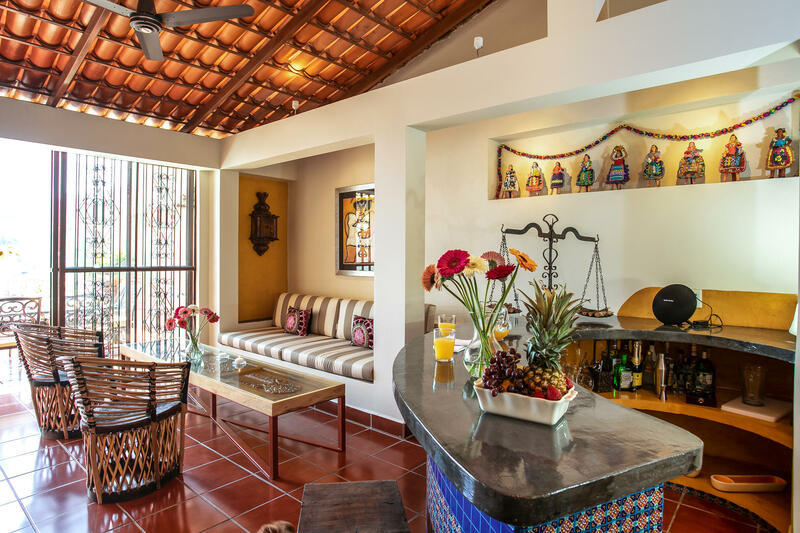 With an emphasis on outdoor living, enjoy the heated rooftop salt water pool, lounge and bar area, inner courtyard and exquisite attention to detail. 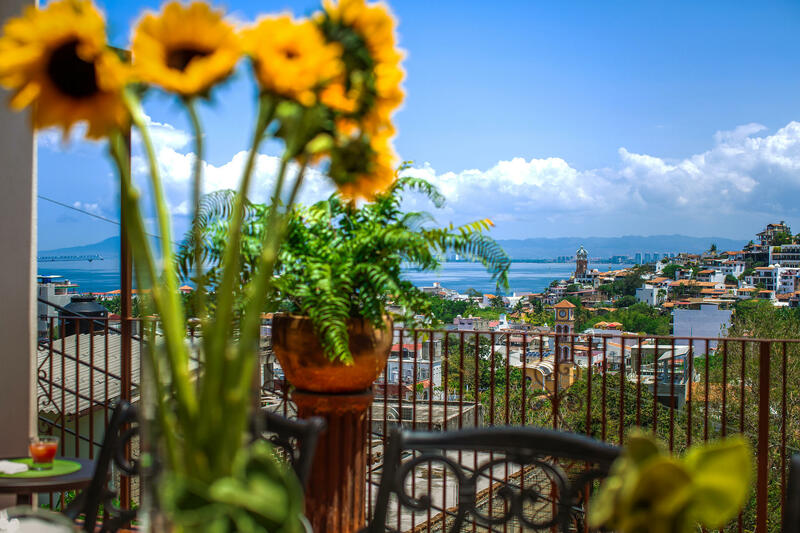 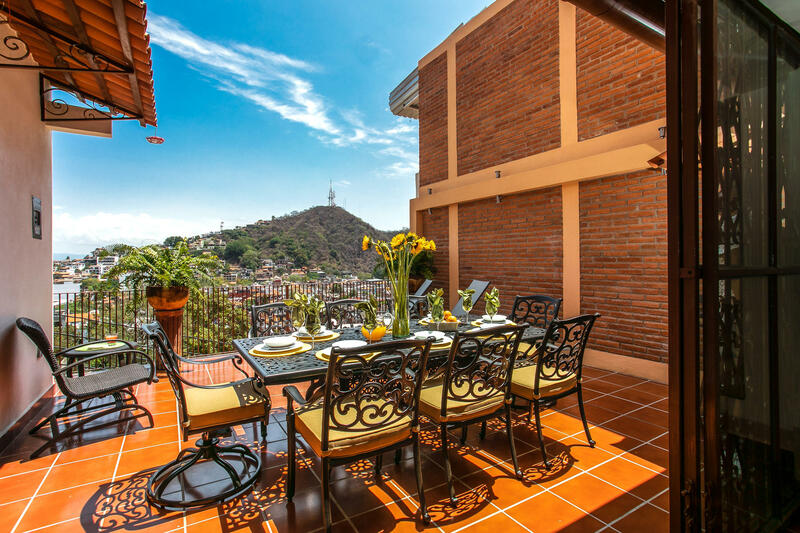 A mix of private and shared terraces offer spectacular views of the Town, Banderas Bay, Sierra Madre Mountains and the majestic Crown of Our Lady Guadalupe church. 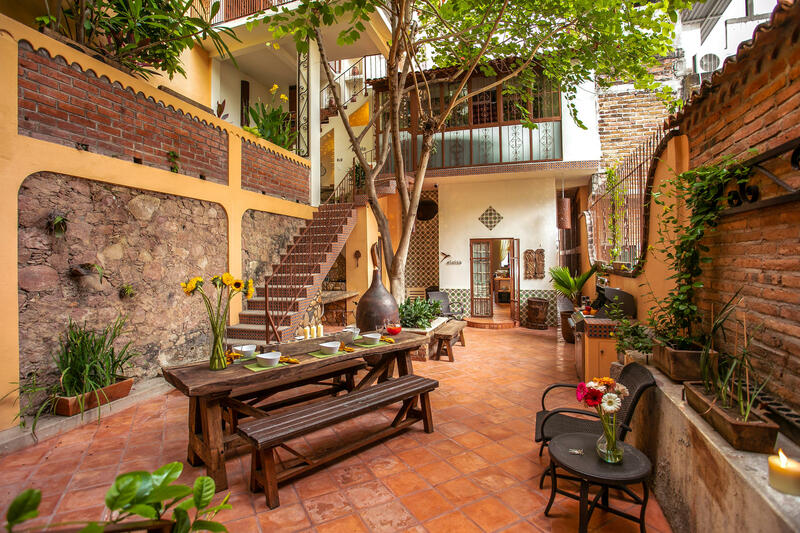 Lush tropical gardens throughout the Villa provide the ideal surrounding to view the dozens of hummingbirds which visit daily. 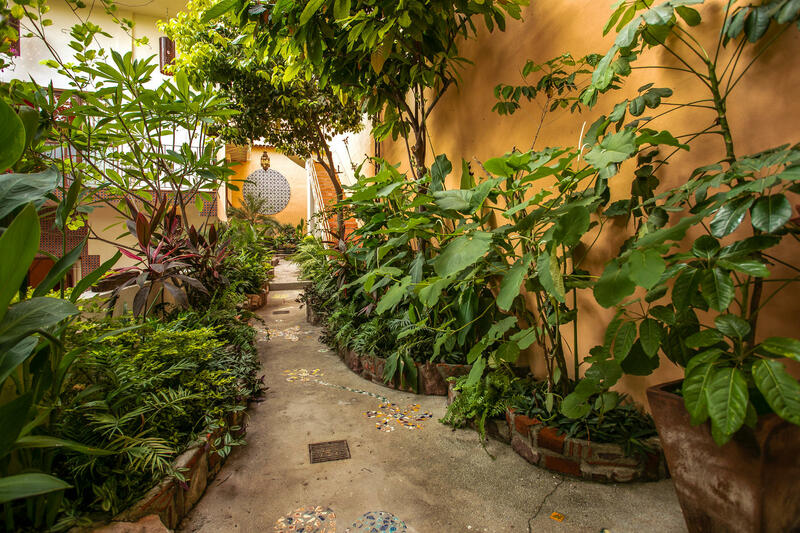 It's only fitting that each residence (ELOISA, BERILO, RUFO and CANELO) has been named after these magical creatures. 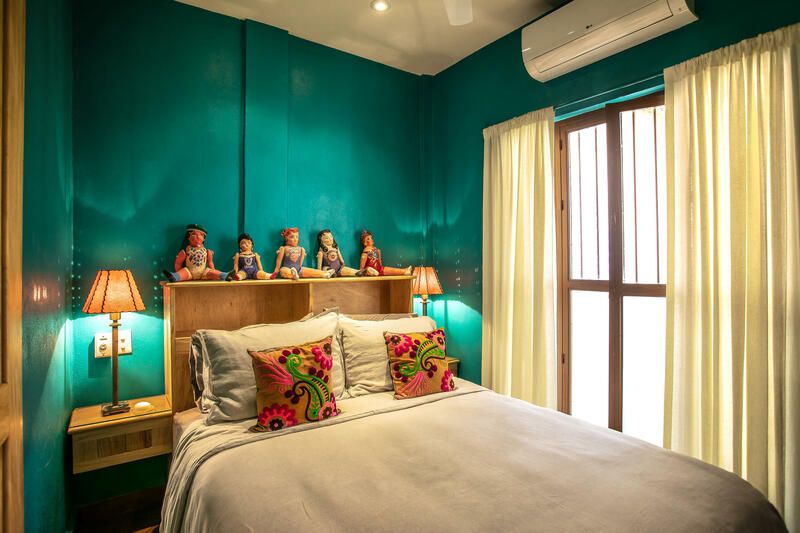 ELOISA (Residence One, 2 Bedrooms, 1 Bathroom). 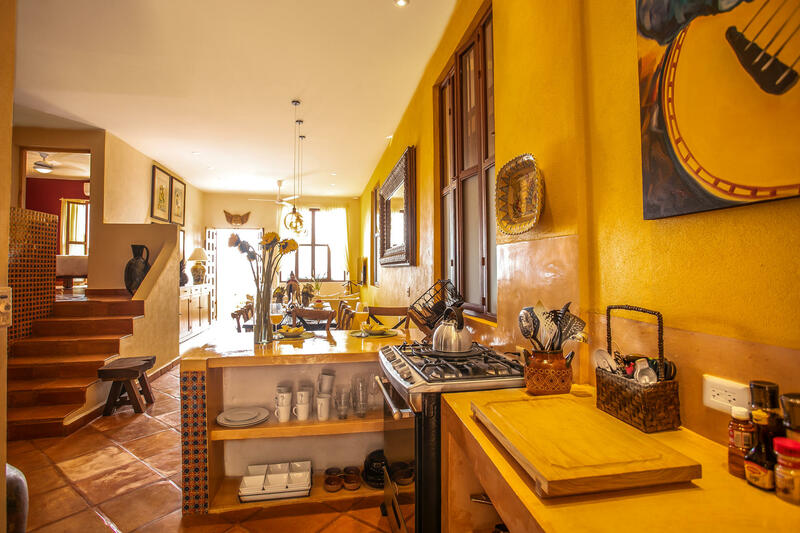 This large split-level, TWO bedroom residence with soaring twelve foot ceilings comes with a fully equipped kitchen, and is located on the ground floor of the main house. 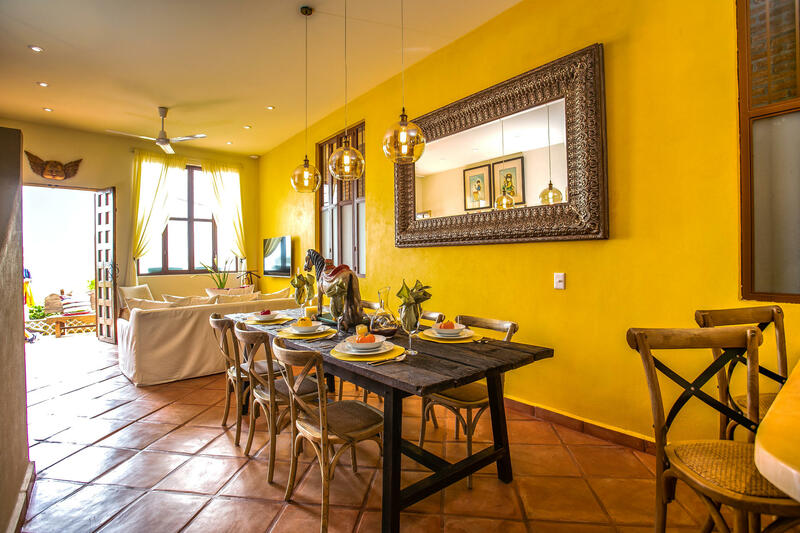 It offers open-concept living and dining (seating for 8+) and has both a private front and back entrance (walkout to the inner courtyard). 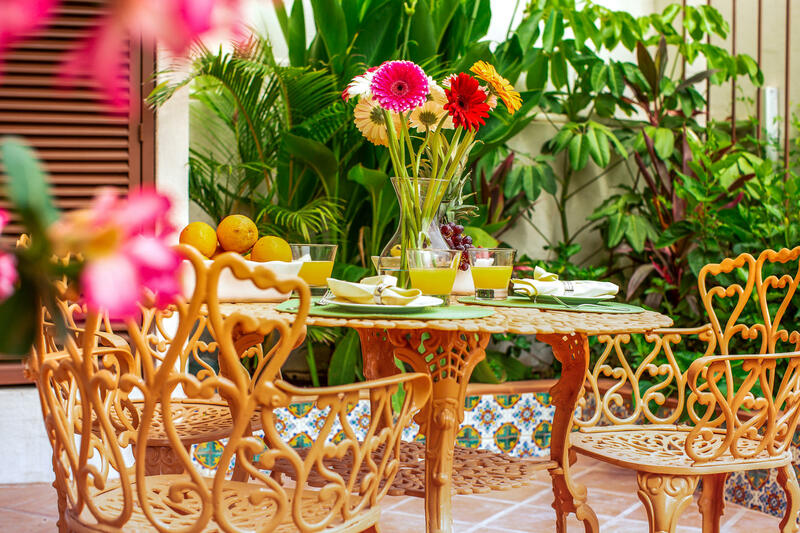 Marvellous ocean and garden views compliment the space. 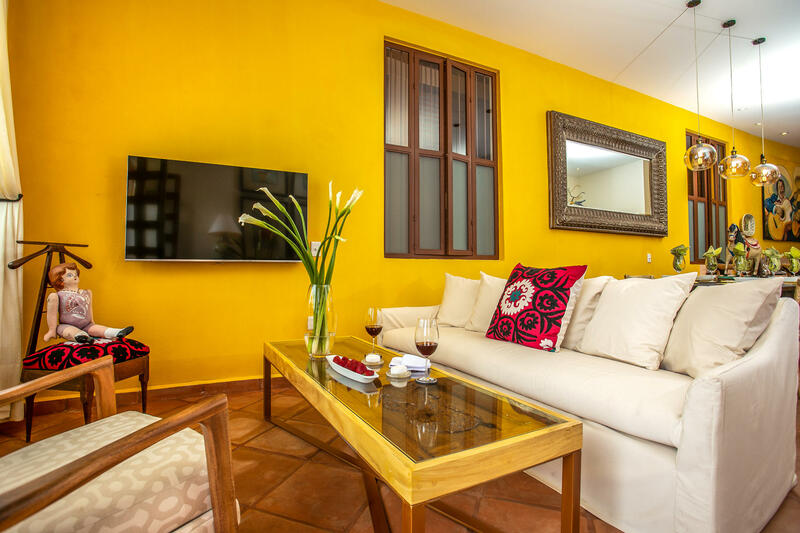 BERILO (Residence Two, 1 Bedroom, 1 Bathroom). 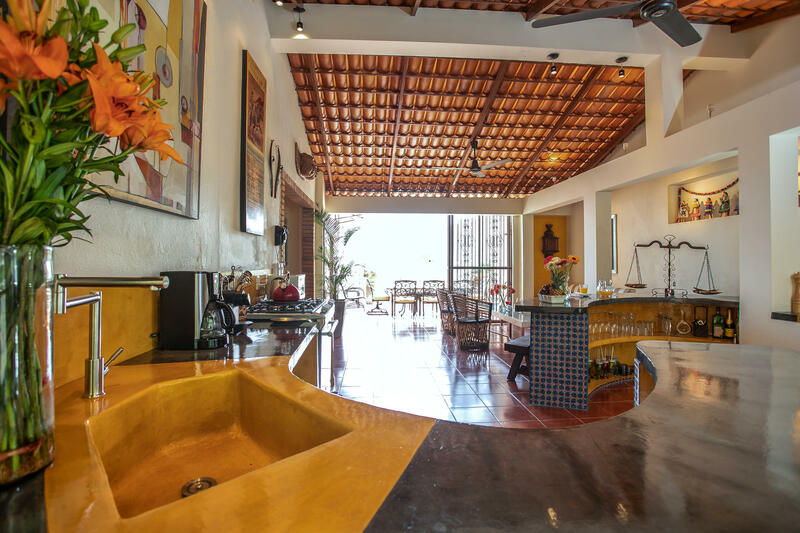 This large ONE bedroom residence with fully equipped chef's kitchen is located on the second level of the main house. 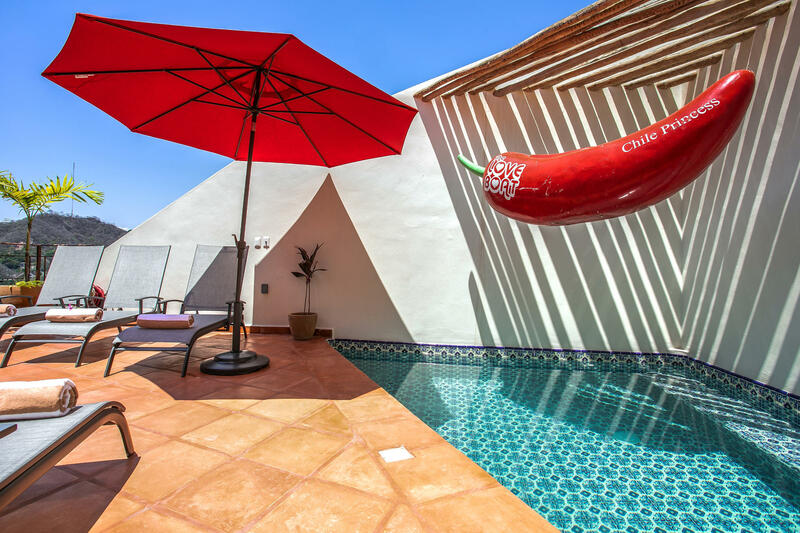 It's soaring twelve foot ceiling, clay tiled roof and large private terrace (with BBQ, loungers and dining for 8) awaits you. 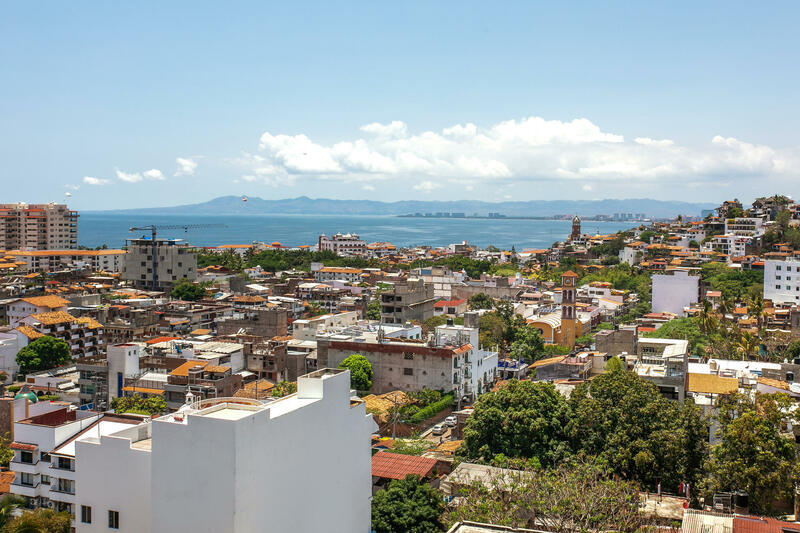 Spectacular ocean, town and mountain views that can't be ignored. 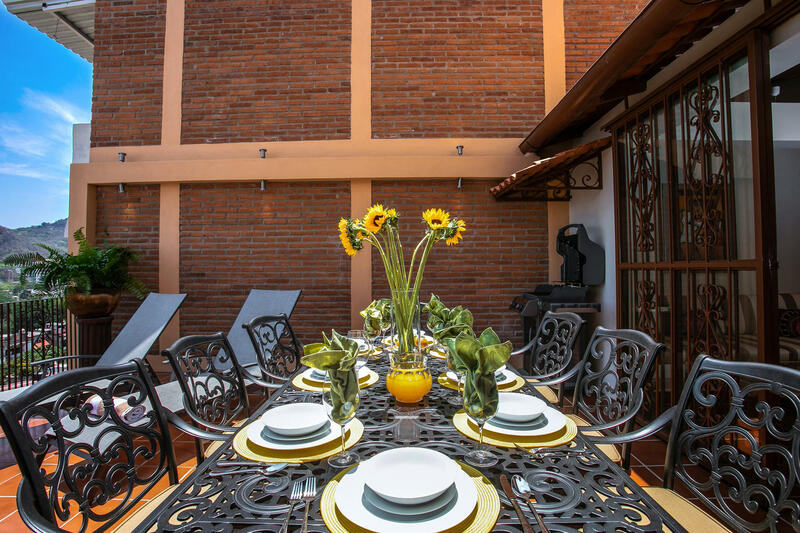 RUFO (Residence Three, 1 Bedroom, 1 Bathroom). 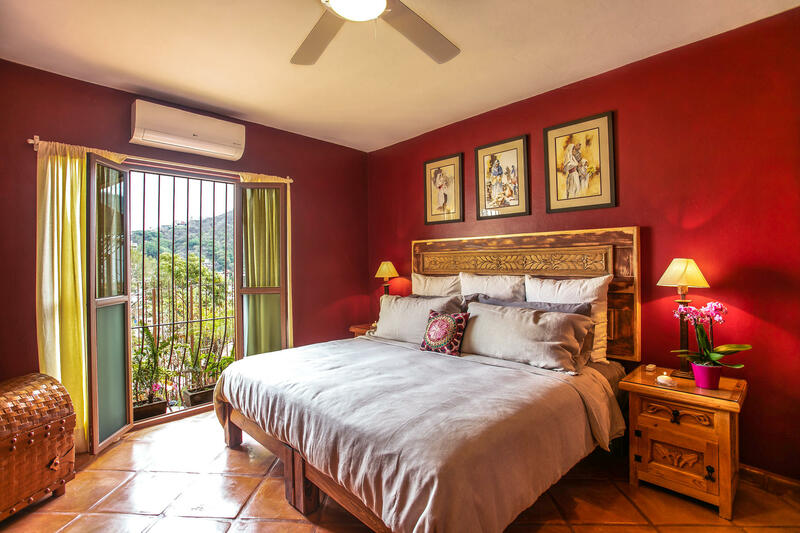 This ONE bedroom gem is located on the third level of the main house. 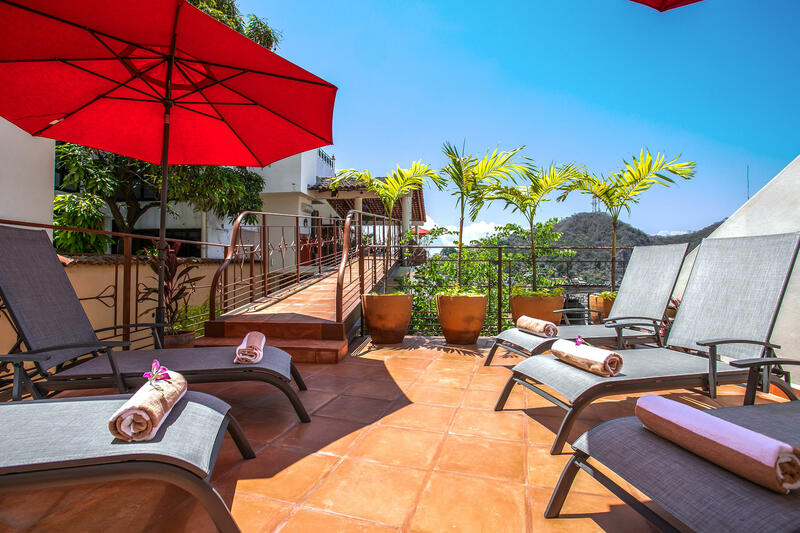 One of the most sought after retreats in the Villa, this residence features a large covered private terrace with dining for 4+. 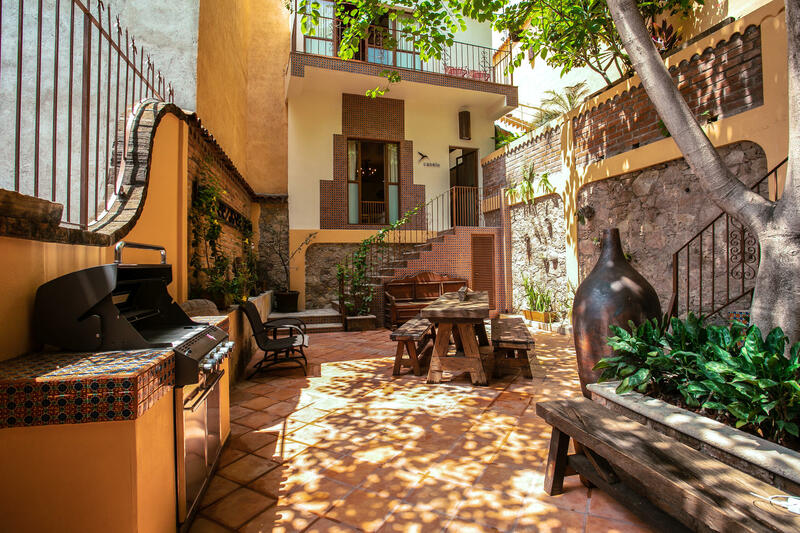 The living room and kitchenette share the outdoor space. 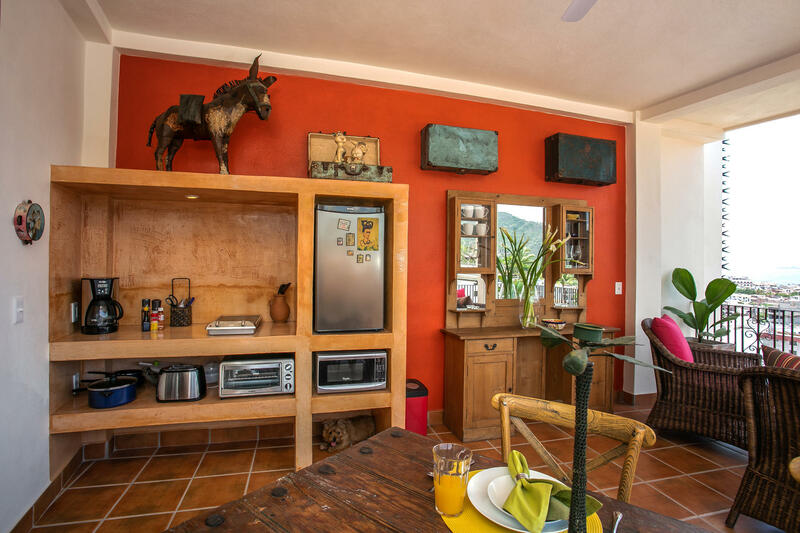 CANELO (Residence Four, 2 Bedrooms, 2 Bathrooms 2). 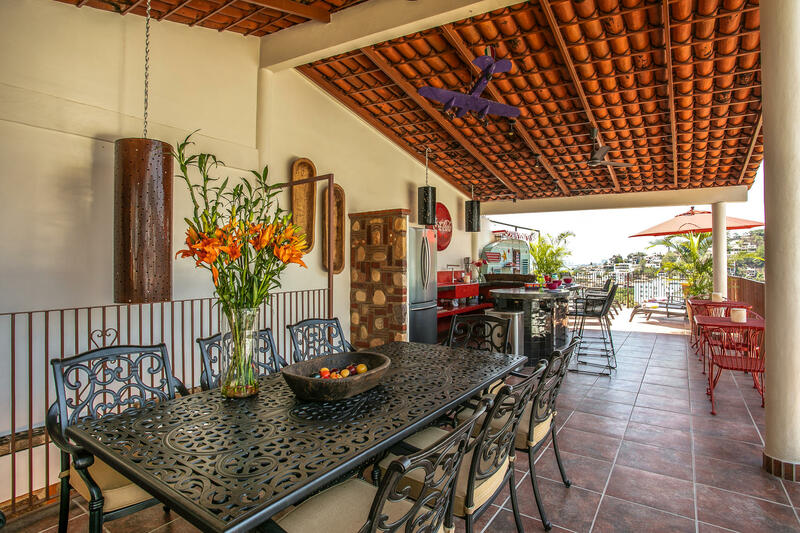 This two bedroom, fully detached two-story casita (cottage) provides the ultimate in private living. 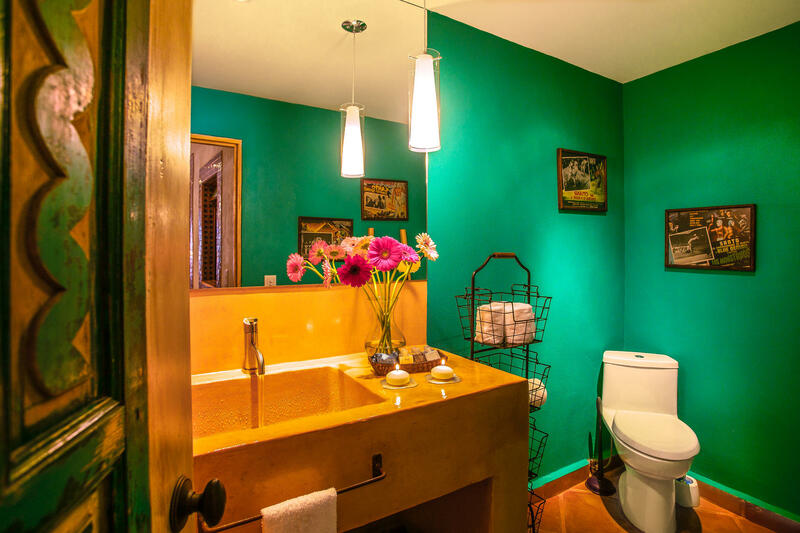 Its main level offers open-concept living/dining (seating for 6), fully equipped kitchen and powder room. 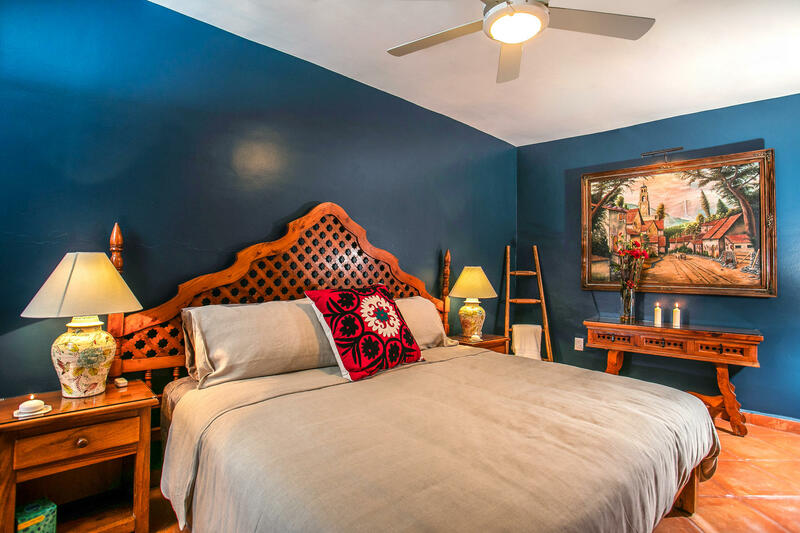 Its second floor features two bedrooms and a shared full bathroom. 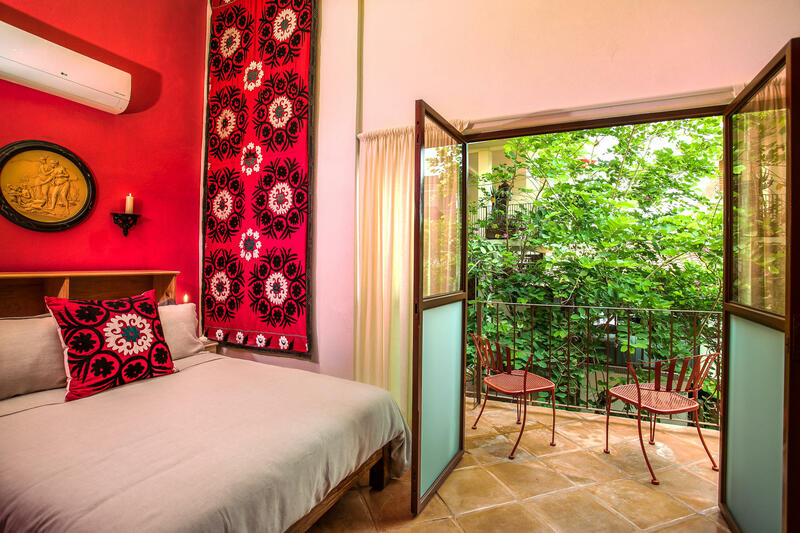 The master bedroom has a private balcony with stunning garden and courtyard views.